This diagram illustrates the naming scheme for conversion files in the SWDB. These conversion files are available here. This diagram illustrates the relationship between different types of precincts you may find in our datasets.  These are links to pages explaining "Geographic Hierarchy for the 1990 Decennial Census" and "Small Area Census Geography in the 1990 Census." These pages were drawn from the Geographic Area Reference Manual, Chapter 2, pages 7 and 9. This document is available on the census Web site at www.census.gov. The counties have registration (RG) and Voting or consolidated (SV) precincts as well as ballot groups for each election. Registration statistics are reported by RG precinct and election results are reported by SV precinct and/or ballot group (ABSPREC). The counties also report the grouping of RG precincts in SV precinct and Ballot group (although the ballot group reporting is inconsistent and incomplete). The counties also provide maps or gis files showing registration precinct geography, but the geographic representations do not necessarily match the RG precincts for one or more of the following reasons. 1. Zero voter precincts not included in tabular data. 2. County has precinct and subprecinct RG precincts and consolidations, but maps don't show subprecinct geography. 3. County has alpha-split precincts; Separate RG precincts with common geography, voters separated alphabetically. 4. Unexplained inconsistency or incomplete maps. 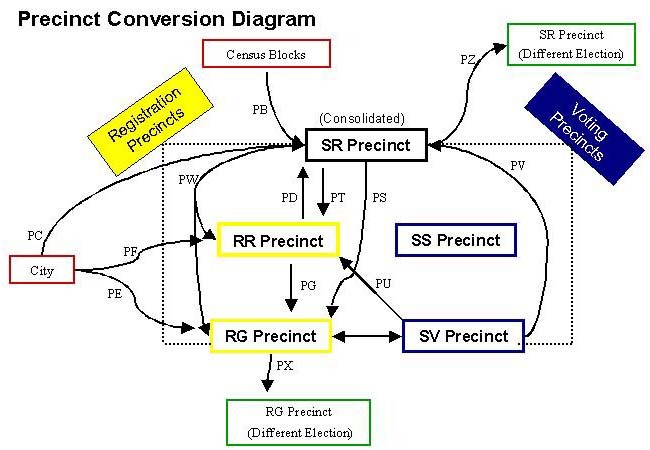 Because the resulting RR precincts may include RG precincts that are consolidated into different SV precincts we create a geographic consolidation know variously as SS or SR precincts to contain whole RR and SV precincts. 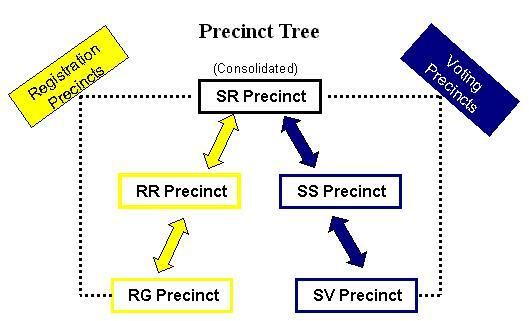 The SR precincts are the level at which precinct election results can be given a geographic representation.